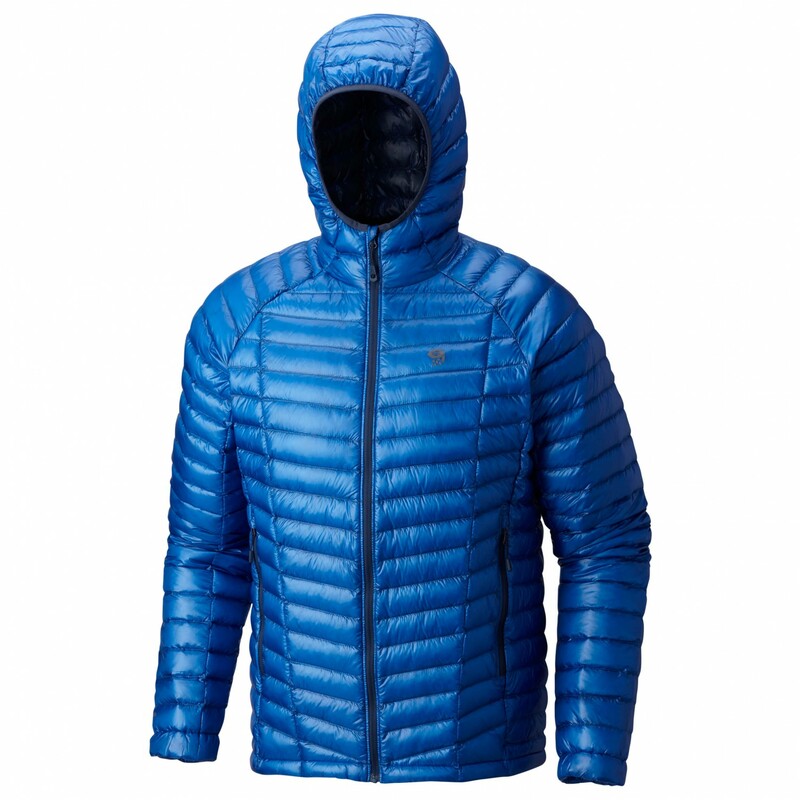 Nikwax hydrophobic down; 800 cuin fill power; RDS certified"
Drawstring in the seam; elastic cuffs"
Optimal warmth for all your mountain sports: the Ghost Whisperer Hooded Down Jacket from Mountain Hardwear! 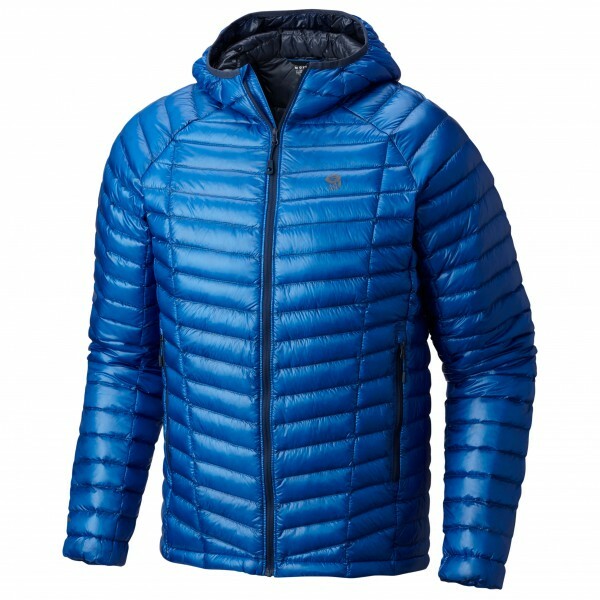 Thanks to its excellent weight-to-warmth ratio, this down jacket is perfect for mountaineers who like to go light. In other words, you'll get the warmth you need without all the added bulk and extra weight. 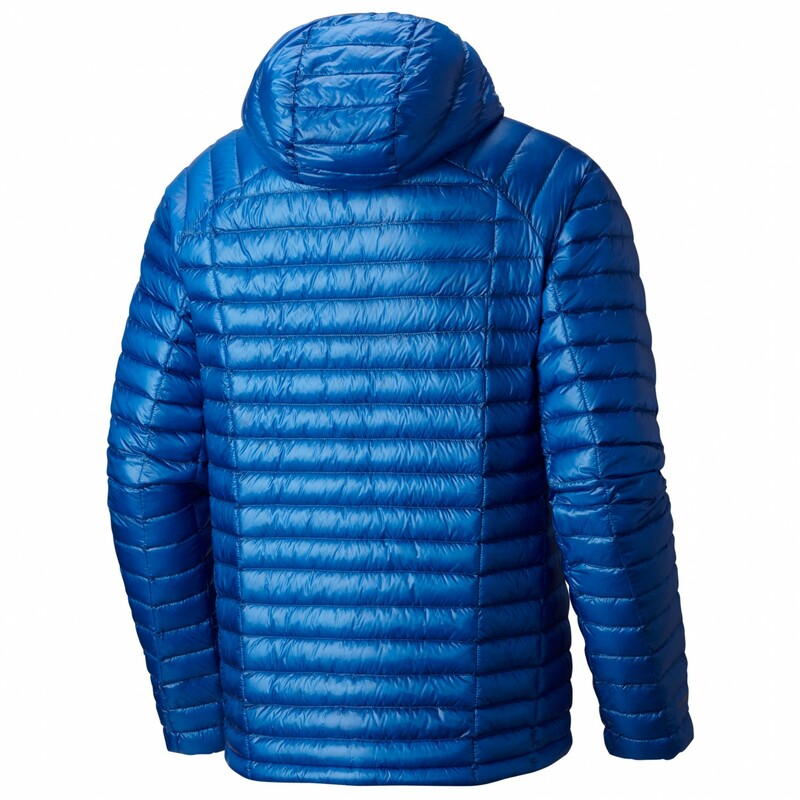 Thanks to the Nikwax Hydrophobic treatment, the down is unsusceptible to moisture, the jacket will continue to perform in wet conditions as well. The down is RDS-certified, so you can rest assured that it's from the best farming sources. 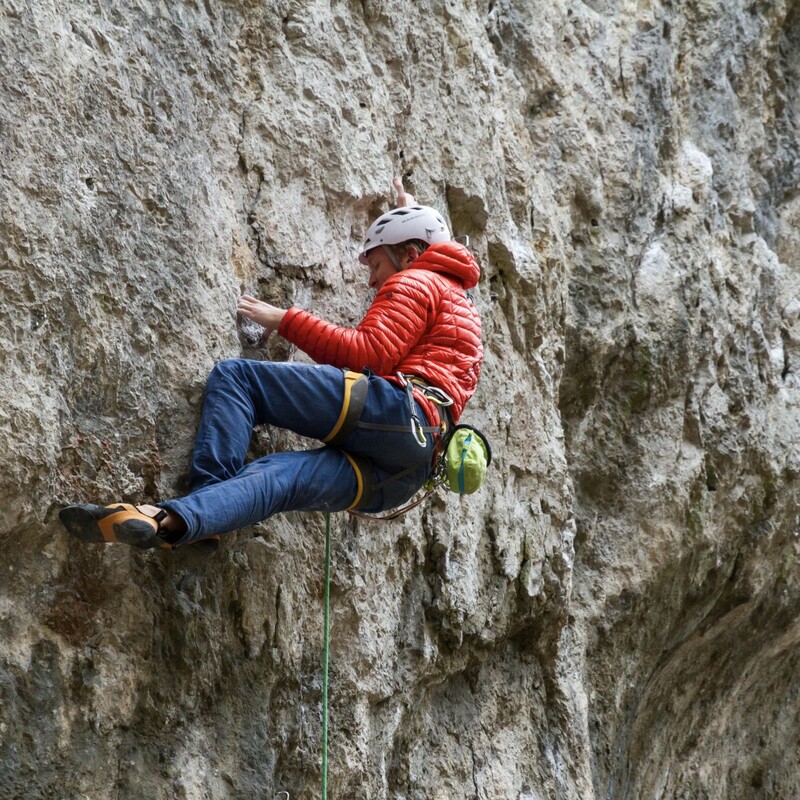 The lightweight ripstop outer material is abrasion-resistant and wicks away moisture to the outside. To prevent cold air blowing underneath the jacket, there are elastic cuffs and drawstring in the hem to seal it out! There are two front pockets to keep your hands warm, and the hood will prevent heat loss from around your head. The down jacket can be stuffed in one of the pockets so you'll save space in your pack. The Mountain Hardwear Ghost Whisperer Hooded Down Jacket is perfect for your next ski tour, mountaineering or climbing trip!